Become the envy of your fellow musicians. 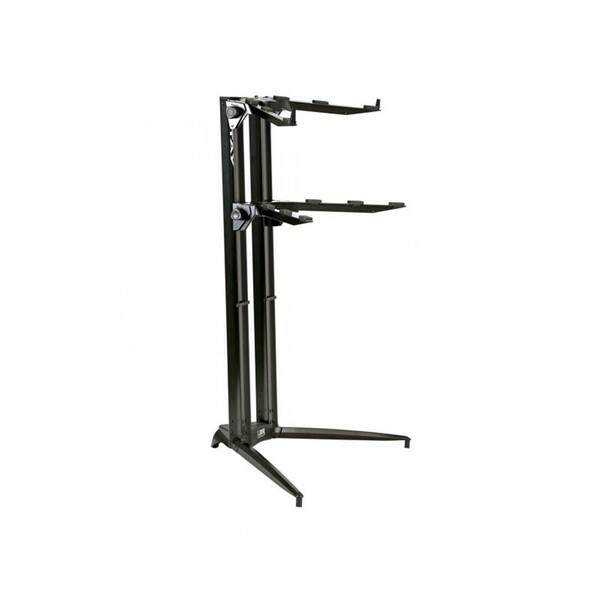 The Quiklok SL919ALUBK stand is a must-have for any discerning musician performing on stage. With a 90-degree angle for the lower tier and a 110-degree angle for the upper tier, you're able to conveniently play your keyboards and remain comfortable whilst doing so. The height of each tier can also be individually adjusted to suit your preference - whether you're standing or sitting, you can't perform to the best of your ability if you're not comfortable. Capable of supporting up to 65kg per tier, the Quiklok stand is suitable for almost any keyboard or portable piano, as well as controllers, modules and drum machines. You've invested in the best equipment available, so why place it upon anything but the best stand available.